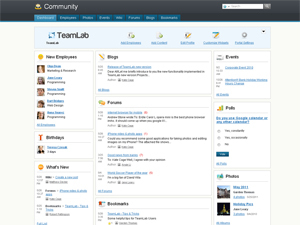 TeamLab is a multifunctional online service for business collaboration, document and project management. It has been developed by Ascensio System SIA, a fast-growing company that offers IT-solutions for personal and corporate use. TeamLab was founded on the idea of making social networking and project management efficient. It combines a wide range of features that assist a company team to work as one organism at solving common tasks and achieving results. By offering the vast majority of features for free, TeamLab enables companies to easily integrate cutting edge technologies into daily operations.